Miguel Vadillo is an accomplished swimmer, triathlete, pentathlete and renown coach that was looking for a new website that could be home to his business. AS part of the requirements, it needed to be a fully operational ecommerce website that worked as well on all devices and allowed to sell physical products and race registrations. Miguel started Embrace Open Water Swimming and was getting ready to organize the Global Swim Series with swimming races across the world and hundreds of athletes participating. 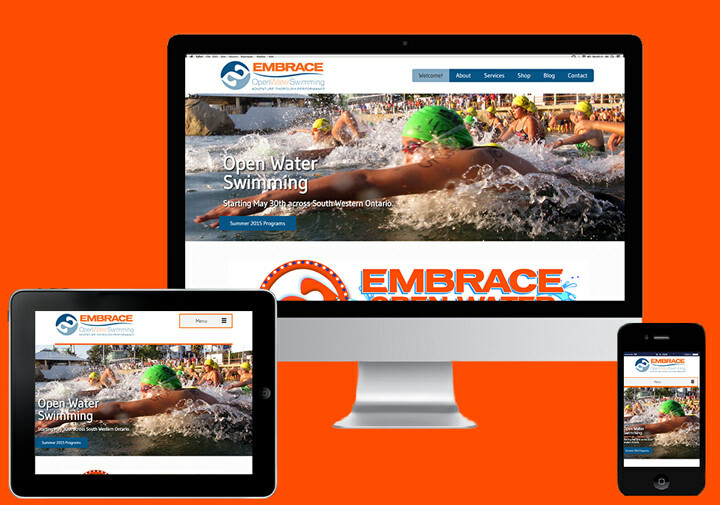 Miguel needed a brand new website that could allow swimmer registrations and enable him to connect all his marketing and promotional efforts as well as allow for the sell of merchandise and participant registrations. The end result was a web design that is flexible enough to allow a multitude of functions to work and look good together. Just as important was the ease of use, so that any user could easily update content, create landing pages, add new sections / products / races and had dynamic features that could be used as needed. SearchEngineOp created a customized ecommerce website with class and event registration capabilities that is easy to manage and maintain while keeping up to date with security standards. The website of course is mobile ready (in fact responsive) so that people can access and use it from all devices. The website works great and has exceeded my original expectations! We are getting hundreds of registrations and users find the website easy to use and navigate.